Sweeties Chocolate Pudding is the perfect decadent delight made without refined sugar for your Valentine’s celebrations. Recipe from EatRight-LiveWell and Tam John, Integrative Wellness Leader and Author of A Fresh Wellness Mindset. 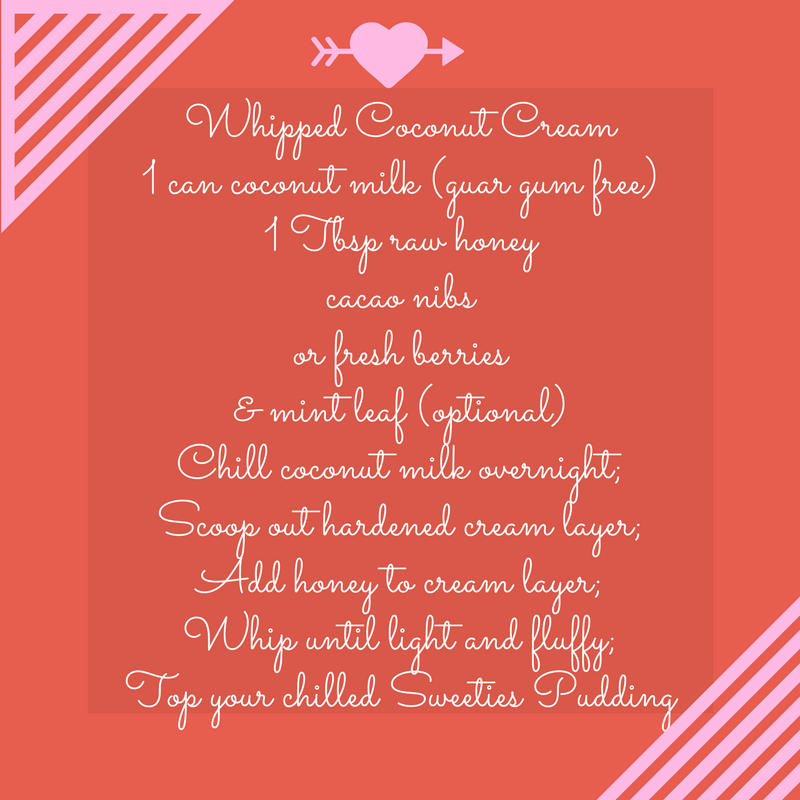 Whipped Coconut Cream is the perfect finish for Sweeties Chocolate Pudding or another fresh dessert. Lusciously top berries with Whipped Coconut Cream and more berries for a fresh parfait . Recipe from EatRight-LiveWell and Tam John, Integrative Wellness Leader and Author of A Fresh Wellness Mindset. Tam John, Integrative Wellness Leader and Author of 'A Fresh Wellness Mindset’ offer a suite of Self Care, Personalized Nutrition, Wellness and Stress Recovery services. Engage the EatRight-LiveWell integrative and functional approach to live with optimal wellness. Schedule your ‘Free 15’ with Tam; interview her; discuss your wellness goals; where you would like support; and confirm her approach is a fit for you.